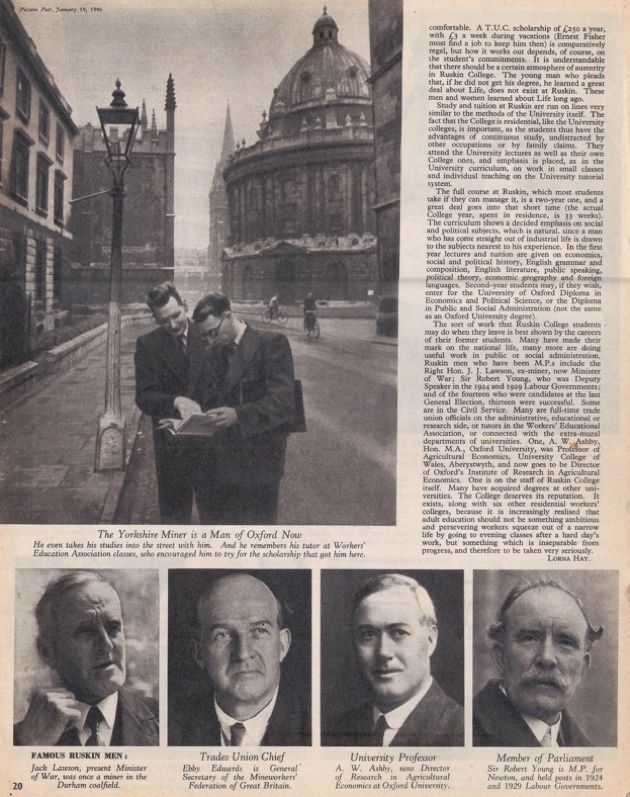 These three pages of an article published in Picture Post on 19 January 1946 were found by Paul Martin on ebay. 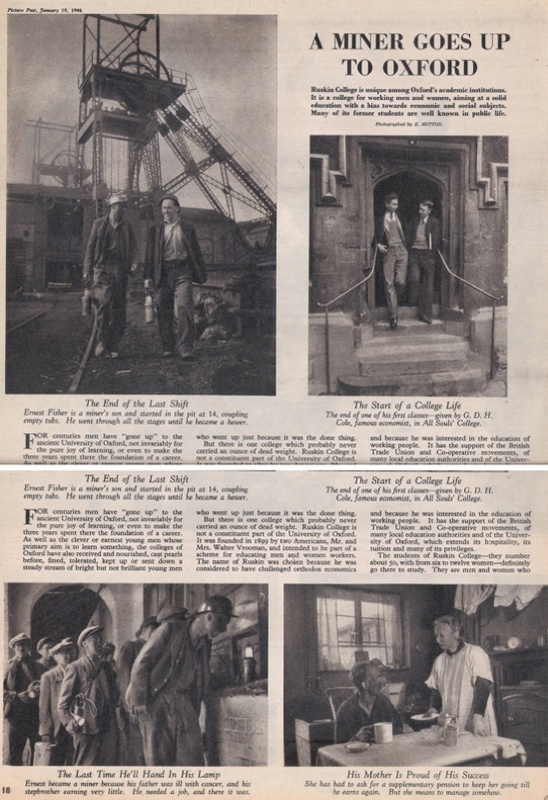 They are a fascinating take on a miner starting his studies at Ruskin College. 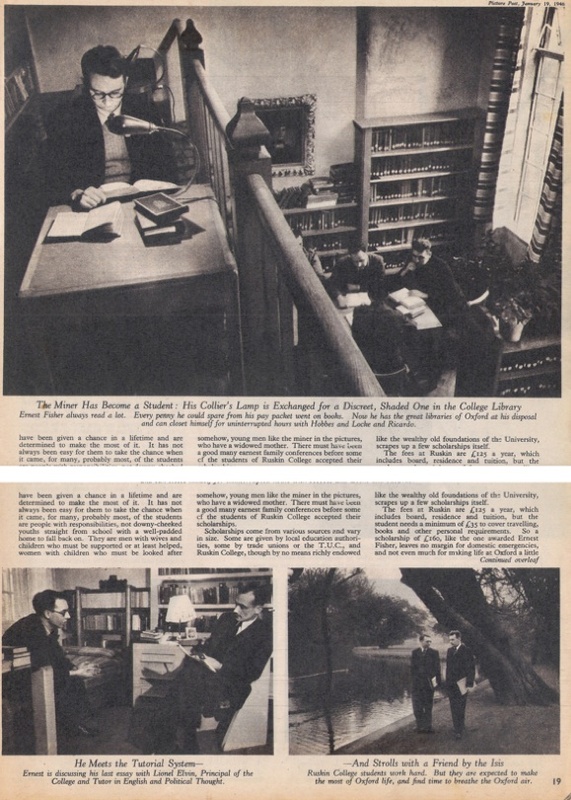 The images include the library in the college’s former building in Walton Street – with an image of Amne Vrooman on the wall. If anyone has any information on what happened to Ernest Fisher we would love to know.